We were judged today for our entry in the North West in Bloom competition. On behalf of the WCPT I wish to thank everyone that helped in any way to make Wesham look as good as it did. 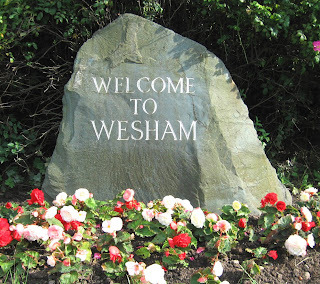 The judges will visit Wesham on Wednesday 16th July to judge our entry in the Small Town category. 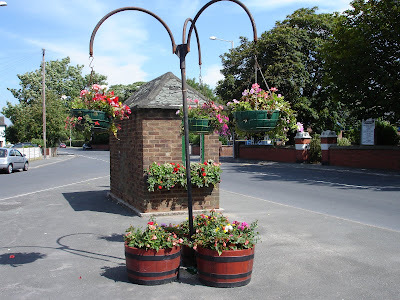 They will view our floral displays and areas of special interest, including Doorstep Green and Mowbreck Park. Hanging baskets, tubs and hayracks are in place and a new display bed has been constructed on Weeton Road at the bypass roundabout. Please help to keep the town tidy and free of litter for the judging! Judging of the annual Best Kept Gardens Competition will take place during the last two weeks of July. Prizes will be awarded for: . Best Overall Garden . Large Garden . Medium Garden . Small Garden . No Garden – window boxes, pots, tubs etc. . Colour . Hard Landscape – gravel, slate, paving etc. . Meritorious Area – to which a number of residents have contributed. So get busy working on your gardens! The Trust and Kirkham in Bloom are organising much-needed improvements to the appearance of the railway station. This will include clearing vegetation from the platform, re-painting the seating, installing raised planting beds and floral display stands, and paintings by local school children in the booking hall. A grant towards materials has been awarded from the Fylde Community Projects Fund, and a meeting with the Northern Rail station manager was held recently to discuss the project. 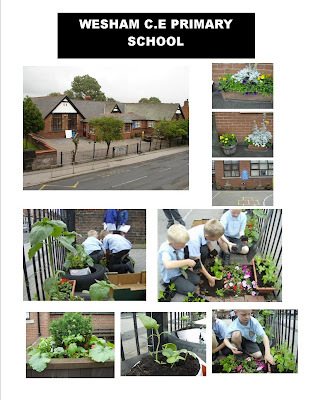 Pupils from the school add colour by planting tubs and hanging baskets in the front playground.